What Is the Hardy-Weinberg Principle? Hardy–Weinberg proportions for two alleles: the horizontal axis shows the two allele frequencies p and q and the vertical axis shows the expected genotype frequencies. Each line shows one of the three possible genotypes. Godfrey Hardy (1877-1947), an English mathematician, and Wilhelm Weinberg (1862-1937), a German physician, both found a way to link genetic probability and evolution in the early 20th century. Hardy and Weinberg independently worked on finding a mathematical equation to explain the link between genetic equilibrium and evolution in a population of species. In fact, Weinberg was the first of the two men to publish and lecture on his ideas of genetic equilibrium in 1908. He presented his findings to the Society for the Natural History of the Fatherland in Württemberg, Germany in January of that year. Hardy's work wasn't published until six months after that, but he received all of the recognition because he published in the English language while Weinberg's was only available in German. It took 35 years before Weinberg's contributions were recognized. Even today, some English texts only refer to the idea as "Hardy's Law," totally discounting the work of Weinberg. Charles Darwin's Theory of Evolution touched briefly on favorable characteristics being passed down from parents to offspring, but the actual mechanism for that was flawed. Gregor Mendel did not publish his work until after Darwin's death. Both Hardy and Weinberg understood that natural selection occurred because of small changes ​within the genes of the species. The focus of Hardy's and Weinberg's works was on very small changes at a gene level either due to chance or other circumstances that changed the gene pool of the population. The frequency at which certain alleles appeared changed over generations. This change in frequency of the alleles was the driving force behind evolution at a molecular level, or microevolution. Since Hardy was a very gifted mathematician, he wanted to find an equation that would predict allele frequency in populations so he could find the probability of evolution occurring over a number of generations. Weinberg also independently worked toward the same solution.The Hardy-Weinberg Equilibrium Equation used the frequency of alleles to predict genotypes and track them over generations. 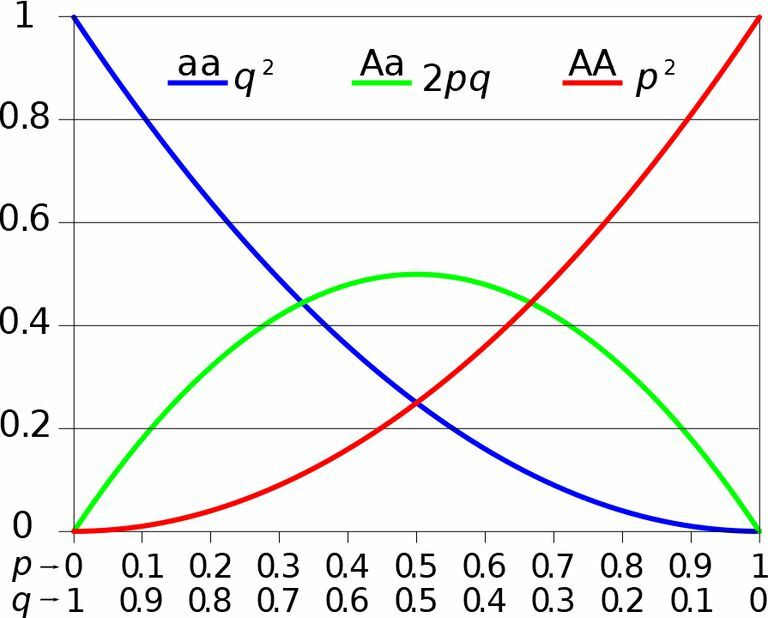 Since p is the frequency of all dominant alleles (A), it counts all of the homozygous dominant individuals (AA) and half of the heterozygous individuals (Aa). Likewise, since q is the frequency of all recessive alleles (a), it counts all of the homozygous recessive individuals (aa) and half of the heterozygous individuals (Aa). Therefore, p2 stands for all homozygous dominant individuals, q2 stands for all homozygous recessive individuals, and 2pq is all heterozygous individuals in a population. Everything is set equal to 1 because all individuals in a population equals 100 percent. This equation can accurately determine whether or not evolution has occurred between generations and in which direction the population is heading. Mutation at a DNA level is not occurring. Natural selection is not occurring. The population is infinitely large. All members of the population are able to breed and do breed. All mating is totally random. All individuals produce the same number of offspring. There is no emigration or immigration occurring. The list above describes causes of evolution. If all of these conditions are met at the same time, then there is no evolution occurring in a population. Since the Hardy-Weinberg Equilibrium Equation is used to predict evolution, a mechanism for evolution must be happening. What Is a Dihybrid Cross in Genetics? 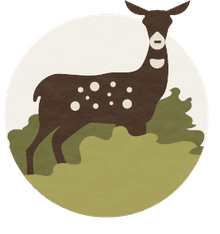 What Makes a Trait Homozygous? How do Alleles Determine Traits in Genetics? Can Microevolution Lead to Macroevolution?